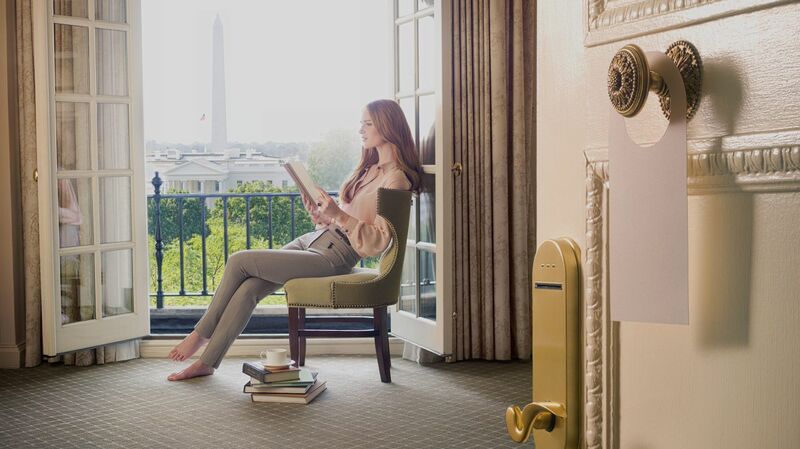 Luxurious Hotel Rooms | The Hay-Adams | Washington D.C.
Take in sweeping views of the scenic Lafayette Park from this luxury guest room featuring decadent amenities. An iconic guest room with a stately view, these top-floor luxury accommodation boast panoramas of the White House for a uniquely DC hotel experience. Regal and refined, these stately luxury accommodations offer impressive views of St. John's Church. Outfitted with extra space, the inviting Executive Studios are ideal for business travelers seeking a luxury accommodation with the comforts of a residence. Elegant and refined, the discreet luxury of the Superior Rooms at The Hay-Adams makes these the ideal accommodation for a residential stay.